The first syllables in words like “atom”, “centre”, “filter”, “shopping”, “rubbish” and “pullet” contain a “short” vowel, which must be followed by a consonant in English. These are sometimes called “closed” syllables. The first syllables in words like “paper”, “being” “final”, “hoping”, “brutal” and “future” end with a “long” vowel, and are sometimes called “open” syllables. When learners start reading and spelling multi-syllable words, it’s useful to get them to practice reading and writing words which contrast “closed” and “open” syllables. 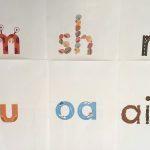 In my Workbook 7 and Workbook 8, I break multisyllable words up using little dots, so that learners get to practice writing lots of different syllable types in multisyllable words before they have to figure out where the syllable boundaries are for themselves. However, most of the students I work with are being encouraged to tackle long words at school well before they get up to my Workbook 7, so I’ve started introducing some input on tackling long words earlier, when they are studying vowel spellings in Workbooks 4 and 5. We start off with compound words made out of words they can already spell, like “catfish”, “suntan”, “dishcloth”, “himself” and “uphill”. This gets learners in the habit of stopping at the end of each syllable to blend, before proceeding on to the next syllable, and then putting the two syllables together. In compound words, both syllables are usually stressed and said as they are written – there are no complications from unstressed vowels/weak syllables. Next, I ask learners to break up words that look similar, but some have a “closed” first syllable, and others have an “open first syllable e.g. “never” (nev-er) and “fever” (fe-ver). The first step is to say each word one syllable at a time. Many kids start clapping as soon as you mention the word “syllable”, and this can sometimes be helpful, but sometimes takes their attention away from what’s happening in their mouths. Anyway we together decide what each spoken syllable is, and if there is an unstressed vowel in the word (like the “er” in “butter” or the “ar” in “dollar”) I ask learners to pronounce it as it is spelt. Sometimes it’s useful to give learners each word written on a little slip of paper, and ask them to cut it in half between the syllables, then copy the two syllables with a space between them. 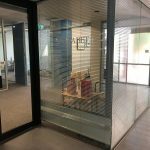 This helps learners to eyeball each syllable in turn, and say it very crisply, eliminating the blurriness that too often seems to happen in word middles. Alternatively, I ask learners to assemble each word in two chunks using my movable alphabet (I provide the necessary spellings), then copy it, then write it themselves, saying each syllable as they write. In general terms, this is how multi-syllable words are tackled in the excellent Sounds Write program, but I use my movable alphabet instead of a post-it note for each grapheme, for what could variously be called recycling or stinginess reasons. I just use a post-it note when I need a spelling that’s not in my alphabet, like the ‘”ti” in “motion” or the “sc” in “science”. Here’s a list of words which contrast initial open and closed syllables. Sometimes there are a couple of ways a word can be segmented. I know there aren’t really two “n” sounds in “dinner” but when spelling it, I like to break up the doubled “n” and get learners to say “n” twice, to help them to remember to write both letters. Of course I vary the wordlist depending on the age and likely vocabulary of the learner. I wouldn’t use a word like “fatwa” with a young child, or a word like “navman” with a learner who knew nothing about in-car GPS systems. I hope you’ll find this list useful in teaching learners how to break words up into syllables, and would welcome any feedback on it. 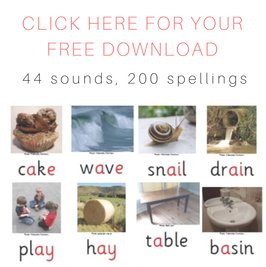 This entry was posted in new words, phonics activities, spellings, teaching strategies, word attack on May 26, 2014 by alison. An open syllable ends with a vowel, and a closed one ends with a consonant. So “great” is closed. Interesting… I’d say great is neither open nor closed, but a double vowel or vowel team syllable. I am not native but teach English, and distinguish closed syllable from open by having just one vowel, followed by at least one consonant, since an open syllable has just one final vowel. I work with 6 syllables in the following order: closed, open, magic e, -le, r-inflicted and double vowel. This seems to work with my dyslexic students from Denmark when working with a quite rigid multisensory phonics system. 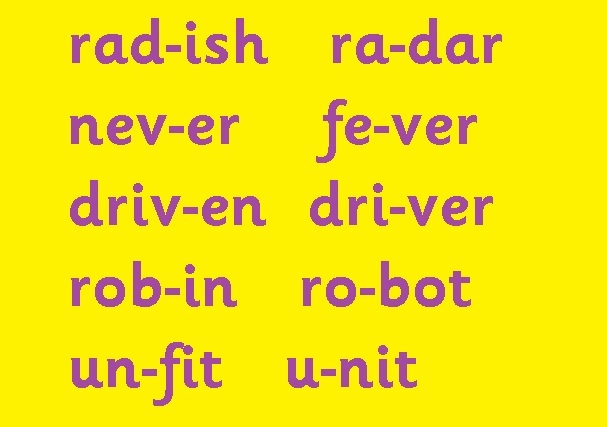 The “six syllable types” are used in a lot of programs from the US, and reflect a rhotic accent, in which words like “saw” and “for” have different vowel sounds, and a final “r” is a consonant not part of a vowel spelling. In non-rhotic accents like Australian English, “saw” and “for” have the same vowel sound. The six syllable types approach is I think helpful as a teaching tool, but in linguistics we have many more syllable types: V, VC, CVC, CCVC, CVCC, etc right up to CCCVCCC and even CVCCCC (as in texts), and that’s just for monosyllables. Also, in your classification, the words “red” and “read” (as in I have read a book) are different syllable types, yet they are homophones, so really the six syllable types are relevant to orthography, but not phonology, and I prefer to work in a way that focusses learners’ attention on phonology, since their underlying problem is not a visual one, it’s a phonemic awareness one. 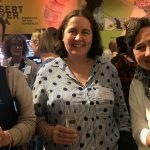 I’m interested in word stress and wondering whether exploring the way poets think about word stress – with words that are iambs, trochees, spondees, anapests and dactyls – might be helpful in understanding spelling better. But right now I don’t have much time to explore this, maybe in our next long school holidays. But if you are doing great by sound and calling it closed, it doesn’t follow that the vowel sound is long??? I agree with teaching it as a different syllable type – vowel pair or team. If your classification system is a phonemic one, the sound “ay” in “great” is the sound “ay” whether it has a consonant after it or not. You can’t call it a “long” vowel in the word “grate” but not a “long” vowel when it’s in the word “great”. But I think your classification system is one based on letters not sounds, and I wouldn’t recommend that. The only way to make sense of our spelling system is to pivot it on the point where the phoneme meets the grapheme, and not get too hung up on the appearance of the letters. Great is not a closed syllable. It is a vowel-team syllable. Hi Virginia, my understanding is that an open syllable is a syllable that ends in a vowel, but in the Six Syllable Types teaching system from the US (which has a rhotic accent), “vowel” seems to mean single vowel letter, not vowel sound. Syllables that end in vowels can be spelt with one letter (as in Pa, hi, me, no and flu) or with more than one letter (as in weigh, sea, high, toe and chew). Same goes for syllables that end in a consonant. I’m a speech pathologist so I use a linguistic phonics system that works from the speech sounds to their spelling patterns. 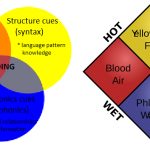 The six syllable types classification system works more from the spelling patterns to the sounds, and I don’t find it has the explanatory power of systems like Sounds-Write or Phonographix which work from sound to symbol not the other way around. However it’s a lot better than what is currently going on in schools and if it works for you and your students, all good. 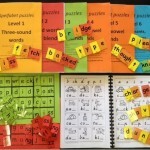 I’m a new speech therapist- what linguistic phonics system do you use? Hi Angela, Sounds~Write is probably the program I draw on most, though I have a whole lot of other programs and use them if they target a student’s needs well. Neither. The word “great” is a vowel team syllable. It’s a vowel team syllable if your organising principle is letters, sure. I’d rather organise my thinking around sounds. I’m not a native speaker of English, and I have some questions about the rules mentioned above. 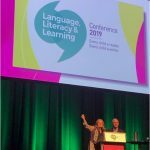 How can learners predict if a syllable is closed or open without knowing the pronunciation of the word in advance? For example, if learners don’t know the pronunciation of “metal”, how could they know the syllables should be marked as “met.al” but not “me.tal”. Sharing similar ending, however, “fatal” is marked as “fa.tal” but not “fat.al”. Besides, for some syllable markings, they don’t look like how they are actually pronounced, such as “at.om”, “top.ic”, “liv.er”. As far as I know, I usually hear them pronounced “a.tom”, “to.pic”, li.ver”. I know the rules that long vowels usually appear in open syllables and short vowels in closed syllables, but it’s hard for me to distinguish the type if I don’t know the pronunciation of the word. Hi, I think you can’t predict, you just have to try different pronunciations and see if one of them maps onto a spoken word you’ve heard of. That’s what set for variability is about, you know what the options are for breaking a word up (e.g. met.al or me.tal but not meta.l) and then you try the most plausible phonemes for each grapheme, and think about what sounds like a word you’ve heard before (whether you know the meaning or not). I’m not sure that I can explain about the sounds properly in printed form, maybe I should make a video about open and closed syllables. It’s hard for everyone to work out the type without knowing the pronunciation of the word, it’s not just you. We all just try plausible ways of pronouncing it and see if one of them matches a word we’ve heard. It isn’t open or closed, “great” is a vowel team syllable. The E and the A are working together to make the long A sound. In a closed syllable the vowel will always make it’s short sound, and in an open syllable the vowel will always make it’s long sound. A vowel team syllable occurs every time there are two vowels next to each other that are only making one sound. EX. oil, green, spray, boat, main, etc. It isn’t open or closed, “great” is a vowel team syllable. The E and the A are working together to make the long A sound. In a closed syllable the vowel will always make its short sound, and in an open syllable the vowel will always make its long sound. A vowel team syllable occurs every time there are two vowels next to each other that are only making one sound. EX. oil, green, spray, boat, main, etc. Do the words remind and before begin with an open syllable? I know that an open syllable ends with a vowel that has a long vowel sound. The first syllable in both words end with a vowel. However, both vowels have the short i sound according the the pronunciation key in the dictionary. Please clarify whether or not a syllable ending with a vowel can be an open syllable even if the vowel has the short sound. In ordinary pronunciation the first syllable in these words is unstressed, so the vowel is the neutral schwa vowel not a stressed vowel, but when teaching kids to spell these words I teach be/fore and re/mind with “be” and “re” as the first syllables, yes. The unstressed vowel is no help to anyone in spelling, you can spell it with any vowel spelling, so it’s best to “upgrade” it to a stressed vowel when spelling. Are you reading the International Phonetic Alphabet transcription of the word or something else. Maybe an American dictionary? I’m pretty sure that in my Australian dictionaries these words have a schwa for the first vowel (but I don’t have them here to check). I was looking at the American Heritage dictionary. In the American Heritage dictionary the “e” in “be” and “re” had the schwa sound. I am writing a lesson on open and closed syllables. I wantrd to make sure I had the correct information for the students. An open syllable is just a syllable that ends with a vowel, so I think it’s fine to include these, they are open syllables even though they’re unstressed. Oh dear, I probably should always say “vowel sound” and “consonant sound” shouldn’t I? So many letters can be used to represent both vowel and consonant sounds, even the letter g is part of a vowel spelling in “night” and “thought”. So I generally say “vowel letter” or “consonant letter” when talking about letters specifically, otherwise I’m talking about sounds. To me, the word “now” is an open syllable because the last sound is a vowel, and the word “have” is a closed syllable because the last sound is a consonant. Sorry, i know some english. Could you help me? Thank you very much for answer me. Do you think? I chunk angry as an/gry, where the ‘n’ represents /ng/ as in think, which is only ever post-vocalic in English, i.e. it does not occur in syllable-initial position (though it does in other languages, such as Vietnamese). The /u/ in ‘ugly’ is a checked/short vowel and these do not occur in open syllables in English. I think the only way to chunk ‘ugly’ is ug/ly. Would you please comment on your understanding of syllables that end with “i” (in other words, they appear to be an open syllable), but the “i” has either s short i sound or schwa. This particular configuration is not rare, but happens time and time again. How do you teach it? Hi Dale, yes, I have a big list of words like this here: http://www.spelfabet.com.au/spelling-lists/sorted-by-sound/ee/i-as-in-taxi. It’s a spelling alternative for the sound “ee” in open syllables. It only appears in one monosyllable (ski) so I just teach it as a spelling alternative for “ee” after I’ve taught the spellings that appear mostly in one-syllable words. I start off by working on the comparative and superlative e.g. “here’s silly, now let’s make it into sillier and silliest, see how the y changes to an i? Let’s do some more, funny-funnier-funniest, happy-happier-happiest” and then we go on to observe that this spelling appears in some other words like taxi, alien, India etc. Hope that helps, Alison. Allison, thanks for your reply. But it doesn’t really get at what I’m asking. Consider examples like irritate (ir-ri-tate), activity (ac-tiv-i-ty), identify (i-den-ti-fy) . I could produce a nearly endless list. But as you can see, each of these contain an open syllable ending in /i/ that most native speakers pronounce as either a schwa or a short /i/. Are these to be considered open syllables even though the sound produced by the “/i/ is not long? Thanks. I don’t know why this matters. I just teach students to break words into syllables and say each syllable as it is spelt, using their “spelling voice”, so they can remember how to spell the unstressed vowels. I don’t know of any evidence that it matters too much whether you chunk the word “activity” as ac-tiv-i-ty or ac-ti-vi-ty or ac-tiv-it-y, as long as you’re pulling the word apart, examining and thinking about its entrails and then putting it back together. In fact, different experts chunk words into syllables different ways. The Phonic Books people break words up along strictly phonemic lines (e.g. they break “cannot” up as “cann-ot”) but others including myself would be more inclined to break this word up on morphemic lines (“can-not”), even though there aren’t really two “n” sounds in “cannot”. Would you please explain what is going on when an open syllable ends with a short “i”? My understanding is that open syllables are supposed to end with a long vowel sound. But more often than not, a syllable will end with a short i or schwa i. How is this explained by the six syllable types? Or is there another rule about which I am not aware? Hi Dale, I think you’ve accidentally posted your question twice and I’ve just answered most of it below, but I should just add that I am not a fan of the “six syllable types”, I think that this is an idea that comes from print-to-sound thinking not sound-to-print thinking. There are many more than six syllable types in English, and the “consonant + le” syllable isn’t actually a syllable type, it’s a word type. I’ve tried to understand what they are talking about but my training is in linguistics and it just doesn’t make a lot of sense to me.